With the Cannabis Act passed and moving toward Royal Assent, the prospect of legalization has never been closer. But, just like in Colorado, there will still be a black market for cannabis. In fact, our black market is likely to be larger than Colorado’s since we’re legalizing in a very strict, “public health and safety” kind of way. It’s been clear from the beginning that BC Bud wasn’t going to be part of the legalization scheme. Forget about jobs and economy, the Liberal government has no intention to legalize a “boutique market,” as Trudeau said. He told us that Canada wasn’t legalizing to please consumers, or, it would seem, to help BC’s underground cannabis industry come out of the shadows and engage in above-board, regulated practices. They’re legalizing to protect a few crony-capitalists and give the illusion of public health and safety. So what did Bill Blair say that was so stupid? “Organized crime will engage in whatever enterprise makes money for them and they’re quite willing to operate outside the law. It’s not all motorcycle gangs and street gangs and mafia. But it’s all criminal enterprises and therefore unregulated and not subject to any rules,” he said. Is he finally admitting what no one in the Liberal government has been willing to touch with a ten-foot pole? That there are people in Canada’s cannabis industry who are not tied to gangs or the mob? Who aren’t involved in other drugs, sticking to cannabis regardless of its legal status? No, Blair, you moron. Go back to issuing speeding tickets you uneducated dimwit. Cannabis is only a criminal enterprise because cannabis is in the criminal code. That’s it. It’s a semantics issue. Second, as I’ve blogged about a number of times, there is no such thing as an unregulated good or service. And trust me, among cannabis connoisseurs, there are rules. Like — cannabis must be cured properly, there can be no signs of powder mold, and it must burn clear to indicate it’s been flushed of all plant food. Our inability to use third-party arbitration services for security and quality assurance is a problem of government monopoly. We’ve homogenized the complex nature of regulatory services into this single “government regulation” monster. A monster that doesn’t even work. Despite Blair’s insistence that LPs are like “pharmaceutical factories,” where, “you could eat off the floor and the security was penitentiary-like to prevent diversion,” the truth is that you shouldn’t judge on appearances. LPs have been caught spraying pesticides on their flower and then hiding the evidence in the ceiling tile when incompetent Health Canada bureaucrats come to give an illusion of regulation. It seems that Justin Trudeau isn’t the only simpleton in the Liberal government. “Organized crime” is not some uniform group of people all in lock-step with each other. And since Blair is including BC Bud and other family-friendly cannabis producers in the mix, this statement gets even more ridiculous. Farmers, vendors, extractors, edible makers, glass-blowers — they’re all competing with each other. It’s not like every dispensary in the country is on the same side. We all wish to see cannabis legalized in a free and fair market. But in the meantime, it’s still capitalism. Owners still have to persuade consumers to patronize their dispensary over others. So there’s plenty of competition in the industry. Even among the actual organized criminals — it’s not like there’s no turf warfare between gangs, especially over the drug trade. There’s a lot of other nasty stuff in the interview. He repeats debunked claims about “crappy grow-ops” that are covered in mold and are fire hazards. And while there are likely a lot of idiots out there producing poor cannabis, they are not the majority. Especially in BC. As the Allard case revealed (in the court of law, political spin and reelection campaigning are a no-go), the evidence for fire, mold, and diversion were exposed as the lies they are. Canada may have just legalized cannabis, but we’re a long way off from ending prohibition. 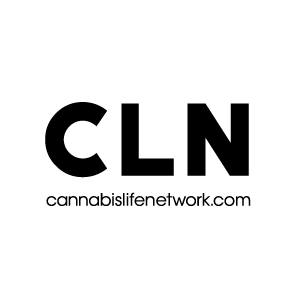 Resident blogger for CLN, Caleb focuses on the political economy of the cannabis industry. His writings have also appeared on Zero Hedge, Mises Canada, and Press for Truth. He currently resides in Vancouver.